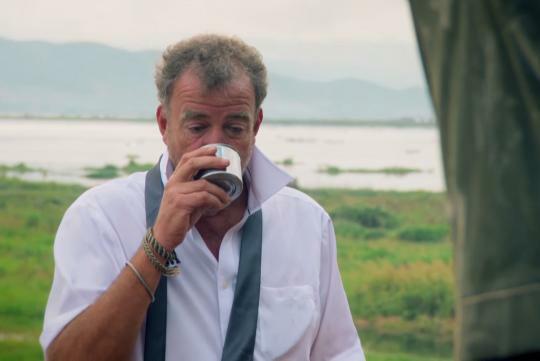 Increasingly, it seems that the return of Jeremy Clarkson, Richard Hammond, and James May to their televised automotive adventures is a matter of when, not if. Although, the question remains exactly where the trio might take the new series. The former Top Gear hosts recently gave a little more credence to one possibility during a stadium show in Australia. According to The Week, the three of them were teasing about American accents during the show. Clarkson reportedly said, "You're not in America." Hammond then responded, "Not yet." This could have been a sly hint about bringing their new series to the US. Netflix has been considered among the contenders to produce a new show starring them. Coming to the US-based streaming service would essentially let the trio say whatever they want because Netflix is funded by its subscribers. Given Clarkson's history of getting into trouble for speaking his mind, that model could be a real advantage. Clarkson has made other references about negotiating with execs in the US in the past, according to The Week. Although all of this speculation still needs to be taken with a rather large grain of salt. The three former Top Gear hosts are well known as jokesters, and they cold just be playing up the rumors of the American move to keep people guessing.